Are you looking for the right senior living solution for your aging loved one? Making sense of senior living and care options is not an easy task. How do you know which option will best meet your loved one's changing care needs? 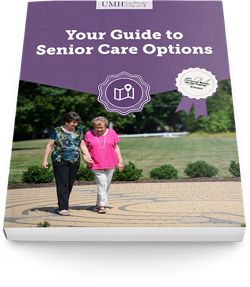 To help you plan ahead and avoid a crisis, we've created this handy "road map" to guide you through options from home care to hospice care - and everything in between. To download this FREE guide, please fill out the form and get immediate access to your "road map".